SnoozeShade was designed and developed by a mom, Cara Sayer, In London,England. She did so to provide her daughter Holly with a darkened environment in which to sleep while they were out shopping, visiting friends, or she and her husband were eating at restaurants. SnoozeShade greatly helps to establish proper sleep patterns and habits especially when a baby cannot always be in the darkened cozy home environment during sleep time. They also make SnoozeShades for twin strollers, carseats, and Cara is designing ones for cribs and playpacks also. These are perfect for on the go Mom's and Dad's. The Original SnoozeShade retails for $34.99 the first universal fit blackout blind for strollers. Endorsed by the UK's leading expert Jo Tantum snoozeshade original helps babies get the sleep they need on-the-go. Made from stretchy breathable UPF50 fabric it can be used in sleep mode to extend the sun canopy and the hood. It is great for vacations, restaurants or any time you have to go out during baby's naptime. SnoozeShade for Infant Car Seats retail for $29.99 it is designed for Group 0 and 0+ infant carriers with rigid carry handles. It can be used in two modes- Full Sleep( when it blocks 94% of the light and protects from biting insects) or half shade. It is made from stretchy, breathable UPF50+ fabric and any time baby is ready for shut-eye you can just pop it on and create a shady well ventilated environment for baby to sleep even on the sunniest of days. SnoozeShade Plus retails for $49.99 has all the benifits of the award-winning SnoozeShade Original but is longer deeper and wider to allow the older children's longer legs and has exrta strapsfor an even easier fit. For older and more alert children. SnoozeShade Plus has an innovative "lookout" panal for baby to see out and then when it's naptime simply zip up the outer "blackout" panel to create a safe and secure and darkened environment to keep babies asleep. I love this product it is the smartest thing ever invented. We can use this all year round and get the benefits of this. I am reviewing the car seat SnoozeShade this is perfect right now with it being cold out instead of putting a blanket to cover my son's face we just zip this up and cover his legs it is perfect for other reasons also. When summer comes I always worry about my kids getting bit by bugs well not anymore if my son falls asleep we can just zip this up over the car seat and he is good to go no bugs will bother him. 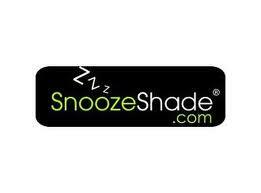 Please go check out their site to see how SnoozeShade can benefit you SnoozeShade.